Driving a Toyota just became a more wired–and hopefully safer–experience, with the announcement of the car company’s forthcoming multimedia system, Entune. Like Ford’s Sync system, Entune banks on the fact that many drivers will have a smartphone with a comprehensive data plan, and integrates with users’ devices through an app. 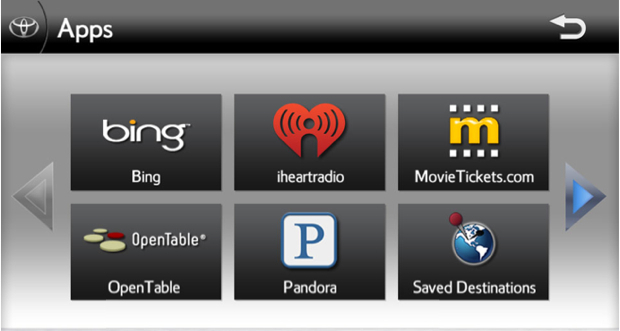 A lot of partners have come on board with Toyota for Entune, including Bing for navigation, Pandora for music, MovieTickets.com for showtimes, and OpenTable for dinner reservations. It will all be powered by voice recognition, with the help of a companies called Nuance and Voice Box Technologies. According to Toyota, Entune will be available in “select vehicles” sometime in 2011.